After the much appreciated and positive response to my previous post on Stacy Keach. I’ve decided to return to one of my “Go To” guys in acting. Who can trace his roots back to the UCLA stage. Then Budd Boetticher’s superb low budgeted Randolph Scott westerns of the 1950s. Working his way up. Under the wing John Sturges (The Magnificent Seven, The Great Escape). Blake Edwards (The Americanization of Emily) and Sam Peckinpah (Major Dundee) and later, (Pat Garrett & Billy the Kid). The two films featured here are from when he was high up on the lower plateaus. Adding to his expanding body of work. While adding his name and talents to be molded and let soar by veteran and up and coming directors. The first feature is a satiric comedy of the first order. With a deftly added touch of Science Fiction. Directed and scripted by television writer and director, Theodore J. Flicker. Pulled together and made delightful, portending fun of during the halcyon days of LBJ, the heightening of the Vietnam War, and its inherent paranoid craziness here. Where an unseen, unnamed though less than confident and encouraging President needs the confidential ear of a shrink in the worst way. Under and above ground banks of light flashing computers go to work and spit out a name. Dr. Sidney Schaefer. Tall, erudite, well-educated and debonaire James Coburn. Still riding the curl of his previous Derek Flint character. And still possessing a large chunk of tailored hipster cool when approached by his mentor and colleague, Dr. Lee-Evans (Will Geer) with the proposition. The good doctor is flattered, at first. more than willing and being mightily impressed with all the attendant bells and whistles. Though, less so with the constant bickering and infighting between the Central Enquiries Agency (CEA) and the Federal Bureau of Regulations (FBR) as to who protects and has access to what top-level and beyond secrets that will be in this newcomer’s head. Taking it all in with a cautious stride and a grain of salt, Dr. Schaefer soon discovers that he will have problems pursuing his one true love, Nan Butler (Joan Delaney) while being at the President’s round the clock beck and call. Announced with red rotating lights and a siren inside the doctor’s Georgetown home. Stress and paranoia set in quickly. And the good doctor starts to see threats everywhere. Even when picking up an order of Chinese food. And remaining blissfully ignorant as representatives of Chinese intelligence are silently accosted and dispatched by agents of the FBR. Doctor Schaefer carries on. Until a second attempt by the Chinese is thwarted at an invitation to dinner. And the interlopers are more noisily dispatched by Agent Wynn Quantrill, his wife and son. With a combination of “House” (38. Special) and “Car” guns (.357 Magnum). Taking it on the lam, Doc heads north and falls in with a groups of Hippies. Trading sanctuary for a vial of pharmaceutically pure LSD. Led by “The Old Wrangler” (Barry McGuire) and the hide in plain sight coven of deep cover spies and espionage agents from all over the world. And all out for the suddenly announced bounty Dr. Schaefer. Doc escapes again and heads west. Only to be kidnapped by the Canadian Secret Service masquerading as a rock group. And quickly dispatched by FBR agents led Russian agent, V.I. Kydor Kropotkin (Severn Darden). 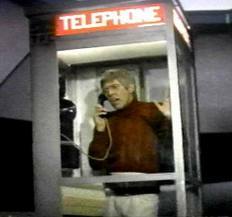 While Dr. Schaefer is re-kidnapped by The Telephone Company (TPC) and taken to their secret, underground lair. Run by a smiling, though emotionless face of the company, Arlington Hewes (Pat Harrington). A robot in human form. Complete with Coaxial cable running into the heel of his right dress low quarter shoe. 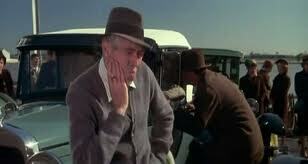 Presently, Kropotkin is aided by previous patient and vetter for higher-ups, Agent Don Masters (Godfrey Cambridge). 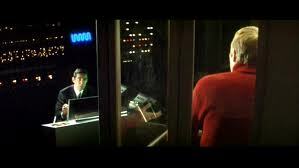 Who go far out of their ways to breach the underground lair and rescue Dr. Schaefer. Experiencing James Coburn’s masterful touch at the comedic, satiric and humorously prophetic take on paranoid the laughed about “Corporate America” of the late 1960s. Without pausing to see the creepy parallels regarding National Security, E-Mails, phone calls and The War on Terror, today. A good-looking film with just the right amount of on location cinematography by William A. Fraker. And imaginative and futuristic looking sets for the much maligned and hated, underground Phone Company’s secret lair by Robert Benton and Arthur Krams. Music by Lalo Schifrin is more than up to the task of enhancing myriad moods with a veteran’s ease. With a plot that is easy to follow. Even as Mr. Coburn’s portrayed paranoia increases. While the attendant bureaucracies see it all as “Business as usual”. Along with several moments of clever visual humor and paranoid ramblings, that if you have been paying attention. Make perfect sense. Mr. Coburn being front and center. Backed up by a more than competent cast and surprising cameos. Most notably, the very under rated Godfrey Cambridge (Watermelon Man, Cotton Comes to Harlem) and Severn Darden’s laid back, younger Theodore Bikel. Reacting to events surrounding all that Dr. Schaefer knows and not all that he’s been told about. In a well thought out and executed that may occasionally seem bizarre, but surprisingly, does not insult the viewer’s intelligence! Which opens the door for the second feature. Much more streamlined and sedate in tone and meticulous detail. Set in the Depression era deep south. And focusing on the back alley and empty warehouse world of bare knuckle fighting. Allow me to introduce. The third and I think, most personal teaming of Mr. Coburn with Charles Bronson. Who opens the story by jumping off the open door of an empty cattle car as its train slows to round a bend. Right in the ends of the tumble-down dregs of Nowhere-ville, Louisiana or Mississippi. The sun is setting and Mr. Bronson’s Chaney goes poking around for something to and a buck to be made. Finding odd sounds from an open warehouse. Where, upon closer inspections men are gathered and bets are being waged and tallied on two well muscled specimens. Each with their own “promoter”. One is shabbily dress and hungry for a buck. While the other, “Speed” is Mr. Coburn in his natty, seersucker suited best. Speed is in his element. Conning, cajoling and b.s.ing the last dollar to put on his fighter before the fight begins. Chaney watches and is not surprised when Speed’s fighter loses. Intrigues, Chaney follows Speed to a raw bar and business is discussed before a later venue. Where Chaney strips to the waist. His opponent throws one punch that misses. And Chaney throws one that connects. Speed and Chaney walk out richer and decide to seek larger arena and gambling pay outs around New Orleans. Finding nicer digs for Speed. While Chaney sets his quiet sights on Lucy Simpson (Jill Ireland, Mrs. Charles Bronson). A hard luck woman waiting for her husband to return from prison. Chaney fights and Speed rakes in the money. Perhaps, too much money. As representatives from larger backers make themselves known. And a doctor and cut man, Poe (Strother Martin at his most eloquent and sloppy best) is retained to patch up cuts and tend bruises. when not feeding his addiction to Opium. After a rather lucrative win at a family/county picnic. Speed is approached by one of the big money backers. Smooth, suave and kind of oily Chick Gandil (Michael McGuire). Who wants three thousand dollars up front money for the next bout. Speed agrees, but being Speed, blows his cut of the winnings at a crooked dice table later that night. Takes out a loan from a local shark to cover the losses. Then Chick offers to cover Speed’s loss by selling Chaney to him. Speed is all for it, but Chaney refuses. Chick gets impatient and kidnaps Speed. With the ultimatum that Chaney fight a monstrous, no necks slab of tautly muscled meat from Chicago, Street (Nick Dimitri). All arrogance and a sneering smile, who wants another major win. Poe, seeing a “No Win Situation”, seeks out Chaney and tells all. And Chaney, in true Gary Cooper style. Pulls on his jacket and heads to the waiting and packed warehouse for a final showdown. Two rising masters of the trade finding a niche and making it very comfortable and believable for the time required. Sharing the story’s weight while Mr. Coburn’s sly and dapper Speed blazes trails and rubs elbows with the entirely wrong people in search of another score and decent money. Coming close to Burt Lancaster’s well trod territory of beguiling charm in Elmer Gantry to get hard scrabble farmers and workers to part with their last dollar. As odds shift, rise and fall at the drop of a hat. Tapping into the cool outsider mode from his earlier, Dead Heat on a Merry Go-Round, Duffy and Harry in Your Pocket to strike just the right inviting tone while graciously robbing others blind. Also, great on location and well detailed period piece cinematography all around New Orleans and surrounding moss dripping parishes by Philip Lathrop and editing Roger Spottiswoode. While Art Direction from Trevor Williams. Set Design by Dennis Peeples and Costume Design by Jack Baer are all first-rate. The first solid look at the talents and capabilities of director Walter Hill and his ability to assemble a memorable “Guy Flick” that has aged well and stood the test of time. Surprisingly, without music by Ry Cooder. Though Barry De Vorzon’s backwater banjo, fiddle, guitar and harmonica heighten the sense of time and surroundings. Taking two established actors and allowing them the time and space to expand possibilities, romp and play. Naturally, Mr. Bronson is the brawn, but Mr. Coburn excels in not making his Speed a knight in shining armor. Allowing for flaws and weaknesses for women and gambling. And fast talking that fits his lanky frame like a tailored suit. HARD TIMES is a great flick. I haven’t seen it in over 20 years, but now I’ve got the bug to watch it again. That’s for starting off the conversation! ‘Hard Times’ is a favorite of mine for a lot of reasons. Walter Hill, James Coburn and Charles Bronson are among the top. I’m glad I helped put the bug back to watch it again. HARD TIMES is indeed a great one, John. Thanks for the comment. James Coburn was one of those actors that kept stepping into and out of the spotlight. While working at, honing and improving his craft in smaller films in the interim. These two titles should prove a fun little jaunt. Thanks once again Kevin for contributing another wonderful piece on a pair of films by the great James Coburn. I’ll be back later to offer more comment, my friend. 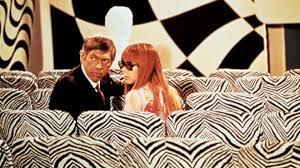 I”ve always liked James Coburn. Missed out on these two, so thanks! Looks like he’s more diverse than I give him credit for. He’s one of those with perpetual scowl. Adore him in ‘The Dirty Dozen’. James Coburn didn’t earn a perpetual scowl until very possibly his best role and performance on film in ‘Pat Garrett & Billy the Kid’. And that small addition to his character was inspired. Always admired his smile and comedic chops in films like ‘Charade’, ‘The Americanization of Emily’ and his take on Derek Flint. Also think you have him confused with Lee Marvin in ‘The Dirty Dozen’. Though I would have loved to see him ply his craft opposite Lee. I second the greatness of James Coburn’s performance PAT GARRETT & BILLY THE KID. Thanks, Cindy. And yes, Coburn was not in THE DIRTY DOZEN, but Charles Bronson surely was (representing another MAGNIFICENT SEVEN cast member). James could do charismatic hero and villain with equal aplomb :-). Wonderful double-feature, Kevin. Admittedly, I hardly remember THE PRESIDENT’S ANALYST these days, but I should revisit it. For sure HARD TIMES remains quite memorable. It was a sterling debut for Walter Hill in the director’s chair and offered splendid performances by James Coburn, Charles Bronson, and Strother Martin, even some smaller support roles had flair. Jill Ireland certainly was solid, too. Many thanks, my friend. I caught ‘The President’s Analyst’ during the last few nights of its two week run, before fading into obscurity. I really enjoyed and appreciated its toned down Derek Flint humor, look and feel. While ‘Hard Times’ is just plain, old fashioned GOOD! An excellent first outing for Walter Hill. And his exceptional cast and crew. A film I wanted to dig deep into. Not just for its story, but its distinct feel and attention to detail. Sorry I missed this Kevin but wow, what an awesome double feature. I haven’t seen too many of Mr. Coburn’s films but these two sound worth checking out. The President’s Analyst’s national security topics sound quite timely even to this day. Something told me to drop by and check the post and comments. So glad you took the time to peruse and opine. There are several gems from Mr. Coburn that never received the appreciation they deserve. These two rate very high. As do ‘Waterhole #3’, which was shunned into obscurity due to 1970s Feminism, and later Political Correctness. ‘The Last of Sheila’; a superb, suspenseful Mediterranean whodunnit. Two neat heist and post heist films, ‘Duffy’ and ‘Dead Heat on a Merry-Go-Round’. And a no budget, but great looking rescue film focused utilizing hang gliders, called ‘Sky Riders’. And there is a distinct connect between the paranoia of ‘The President’s Analyst’ and today’s eavesdropping run amok.